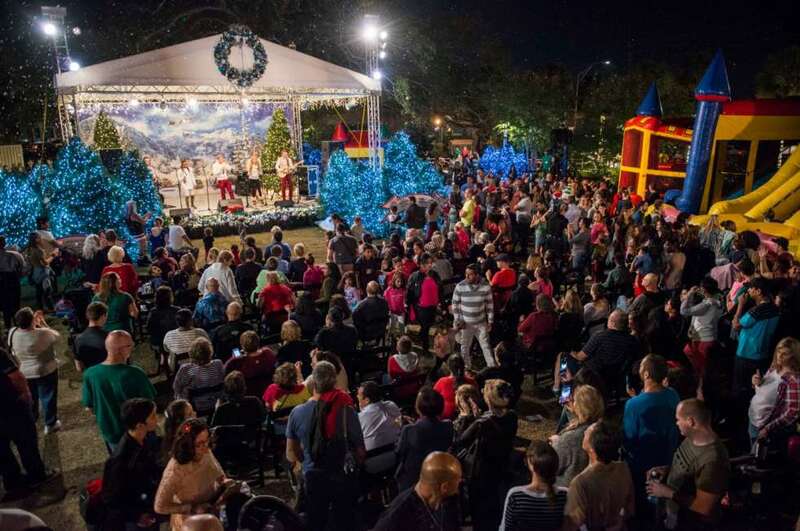 CLEARWATER, Fla. - Oct. 24, 2018 - PRLog -- On November 3, the Clearwater Community Volunteers (CCV) will start construction in preparation of the 26th Annual Winter Wonderland on December 1st at the Osceola Courtyard on the corner of Drew Street and N. Fort Harrison Avenue, in downtown Clearwater. Winter Wonderland is sponsored by CCV and the Church of Scientology Flag Service Organization. Winter Wonderland's grand opening on December 1st is where Santa will plug in the 100,000 twinkling lights that light up 77 live Christmas trees in his village and kicks off the 3-week Holiday festivities, with hundreds of children and families. Dozens of volunteers will spend close to 2000 hours constructing the winter-themed village. "For the past 25 years, our Winter Wonderland has had an unbroken record as a safe, family fun festival," said Ms. Pam Ryan Anderson, Chairman of CCV. "This holiday 'village' is every child's magical playground where they can decorate cookies with Mrs. Claus, visit with Santa and his elves, pet baby animals, ride ponies and the Winter Wonderland train, slide down the 20-foot slide, jump enthusiastically in Winter Wonderland's bouncy house and take a spin on the human gyroscope. This year there may even be surprise visits from the Grinch, along with some snow and nightly entertainment on the stage." Clearwater's Winter Wonderland is also a food and toy drive for needy children and families. Visitors are asked to bring an unwrapped toy or non-perishable food item and put it in Santa's sleigh. All of the donations will be given to The Pinellas Sheriff's Police Athletic League to help families over the holidays. Winter Wonderland will be open every day from 6pm to 9pm through December 22nd, except on Mondays and Tuesdays. Admission is free but there is a small charge for some activities and the food items in the Hot Chocolate Shop (cash-only transactions).